Join Hanni Geist from the DAAD Information Center San Francisco for a new, dynamic 30 minute webinar format. After a brief 10-minute presentation by Bucerius School of Law, participants will have the opportunity to engage directly with the speaker. 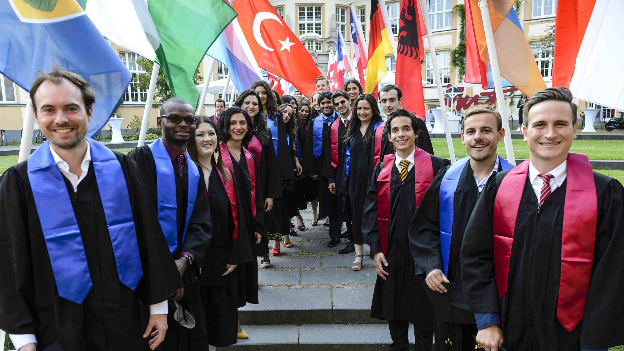 You will hear about US Bucerius Alumni and their careers around the world after graduating and you will learn about career opportunities for international graduates in Germany. After the presentation, participants will have the opportunity to engage directly with Inga Diercks - so bring all your questions about studying in Germany! The webinar will be recorded and will be available at www.daad.org/en/about-us/who-we-are/webinars/. If you can’t join the webinar live, send your questions to geist@daad.org to have your questions answered in the Q&A. For more information on Bucerius Law School, visit www.law-school.de/international.